The event is in Athens, OH at the Athens Community Center from 10 am to 5 pm (the length of the con. Yes, it’s a one-day event). More details can be found on their site. I’ll be there selling comics and offering commissions, so if you’re in the area, I hope to see you there! After the convention, I’ll be doing a special sale over on Storenvy. I’ll make an announcement on Monday. Spoiler alert: in involves COMICS! In KickStarter-related news, Seeing Him, the Webcomic got fully funded! So now I’m working on fulfilling backer rewards in between comics pages. I just sent out the $5 level rewards to those who filled out their surveys. Speaking of surveys, if you backed Seeing Him on KickStarter, PLEASE fill out your survey (it should be in your email). I need some information before I can deliver your reward, so please fill it out ASAP. They’re short surveys, too, so it should be easy. Did you know the Harvey Awards are open for nominations? If you’re a comics creator, now’s the time to cast your vote by going here. You can’t nominate your own work, but you can nominate others. (Like Validation by Christian Beranek and me, hint hint wink wink) (but really, nominate the webcomics you think are worthy. They have their own category!). Also! Starting next week, I’m bringing back some features on this blog that I’ve neglected for too long: Review Day Tuesdays, and Featured Artist Fridays. Because there is just a SLEW of new comics and artists out there and I want to share them with you here on the blog! That’s all for now. 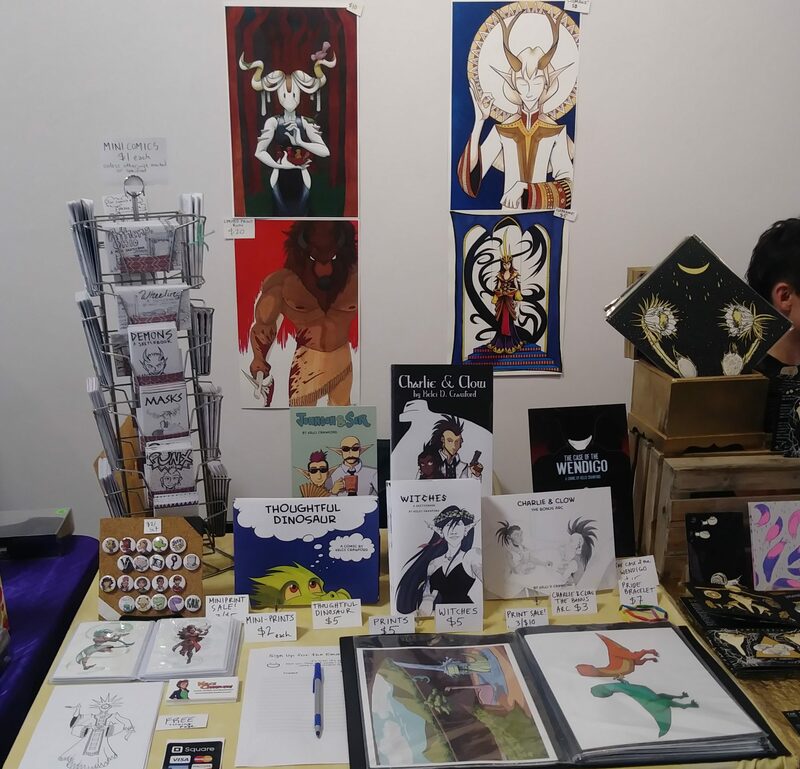 I hope to see you in Athens, OH at RathaCon tomorrow! Next PostNext Surprise! Ratha Con!